There are multiple policies and procedures you should be aware of as a University Special student. Review the categories below or contact Adult Career and Special Students Services directly. For fall and spring terms, University Special students may carry a credit-load maximum of 18 credits. However, some Special student classifications are less. Check with an advisor at Adult Career and Special Student Services to verify the specific maximum for your classification. For summer sessions, University Special students may carry 1 credit per week of instruction except in the 8-week general session when 9 credits are allowable. Typically the maximum total credit load for summer is 12 credits. If you have a special request to overload these limits, please contact the Adult Career and Special Student Services dean. Without dean approval, you may be dropped from all courses that exceed the limits. There are several ways in which you may make changes to your course(s) to include credit-hour change, section change, or grading basis change. Prior to the stated deadline, you may easily make credit and section changes. View the deadlines on the Office of the Registrar’s webpage. Credit Changes: Use your Student Center’s ‘Edit a Class’ function to change the number of credits for a variable credit course for which you are already enrolled. Verify your enrollment by viewing your class schedule. Section Changes: To change sections within the same course, use ‘Swap a Class’ or contact your instructor to make changes on the Class Roster. (o not drop the course and re-add if the add deadline has passed. There are some course changes that will require the ACSSS dean’s approval. Course Grading Status: Prior to the stated deadline, use the ‘Online Course Change Request’ found under the ‘Enrollment’ module in your Student Center to request a change to a course’s grade status such as from Credit to Audit or to Add or Cancel Pass/Fail grading basis. Dropping is defined as dropping one or more classes from a specific term while still staying enrolled in at least one course. Prior to the stated deadline, students may simply access their MyUW Student Center in order to drop the applicable course(s). Withdrawal is defined as dropping ALL courses in a given term. If you plan to drop all your courses (even if you have only one course) on or after the first day of class, you will be required to submit an online withdrawal request. Prior to the stated deadline, students may access their MyUW Student Center and then click on the ‘Term Withdrawal’ tab under Course Enrollment. For more information, go to the registrar’s withdrawal webpage. Whether you plan to drop a course or withdraw from all courses, check out the Registrar’s webpage of key deadlines to ensure you are within the established deadlines for the current term. Refund Information: If you drop or withdraw within the stated refund period, the refund will be processed by the Bursar’s Office within a few weeks. The campus Compassionate Refund policy applies to students who are unable to continue in classes due to compelling circumstances beyond their control and who withdraw from the University after the fourth week. According to the policy, refunds contingent upon withdrawal may be warranted in one of two circumstances: (1) a life-threatening or disabling illness/accident for an enrolled student or (2) death of an immediate family member of an enrolled student. Special students seeking a compassionate refund must consult with the Special student academic dean located at Adult Career and Special Student Services, 21 N. Park St., Suite 7101, advising@dcs.wisc.edu, 608-263-6960. The academic dean will assess the student’s situation on a case-by-case basis and determine if a refund is appropriate. Written verification will be required from the student. Pass/Fail Option: Most Special student categories may opt to take courses under the pass/fail privilege prior to the stated deadline. For courses requested as pass/fail, a grade of S shall be recorded in place of instructors’ grades of A, AB, B, BC, C; the grade of U shall be recorded in place of D or F. Neither S nor U are used in computing a grade point average. This option is the student’s choice and the instructor reports the grade independently of any knowledge of the pass/fail basis. In order to request the pass/fail privilege, please access and complete the Course Change Request Form in your MyUW Student Center. Once submitted, the request will be send to your Deans Office for final approval. Credit/No Credit Courses: A limited number of courses are offered on a Credit/No Credit basis. At the completion of the course, the student is given a grade of CR or N rather than a letter grade. A grade of a CR will give the student credit towards a degree but will not have any grade points associated. A grade of N will award no credit. Credit/No Credit courses are identified in the Class Search. Incomplete Grades: A grade of Incomplete may be reported for a student who has carried a courses with a passing grade until near the end of the semester and then, because of illness or other unusual and substantiated cause beyond their control, has been unable to take or complete the final examination, or to complete some limited amount of term work. Only the instructor can grant permission for an incomplete and may change the Incomplete to a grade (including F) at any time. For University Special students, the Incomplete will automatically lapse to an “F” at the end of the next semester in which they are enrolled (not counting summer sessions) if a grade has not been submitted by the instructor. GPA as a University Special Student: While your grades as University Special student are reported on your official UW-Madison transcript, a cumulative GPA is not displayed on your transcript unless you later become an undergraduate degree-seeking student. A 2.0 minimum grade point average is required of University Special students in order to continue in the following term. Any University Special student who does not achieve the minimum grade-point requirement will receive an enrollment hold on their student record and will be barred from further enrollment. Students in the UNDS, UNRS, UNCS, UNIS University Special student classifications are required to maintain a GPA of 2.0 or higher to be eligible to continue enrolling in subsequent terms. University Special students who fall below a 2.0 grade point average are barred from further enrollment by an end-of-term action, Must Obtain Permission to Continue (MOPTC). The following University Special student classifications are limited to enrollment in the admitted term: UNHS, UNVS, UNOS, UNPS, UNES. Any special requests to continue in one of these classifications are to be directed to advising@dcs.wisc.edu or 608-263-6960. Prior to requesting official transcripts, unofficial student records, or grade reports, verify that grades have been posted in your MyUW Student Center. A transcript is the official record of your UW-Madison academic history including courses taken, grades received and degrees awarded. Order your official transcripts from the Office of the Registrar. Unofficial student records can be requested via your Student Center under the ‘My Academics’ link. This request will trigger an emailed copy of your transcript showing all coursework completed at UW-Madison but carry neither the official UW-Madison seal nor the registrar’s signature. Courses taken at previous institutions will not be reviewed or transferred to your UW-Madison record as a Special student. 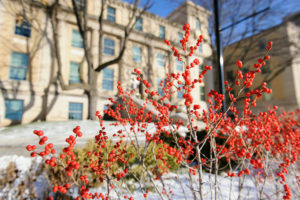 If a previous taken course is needed as a prerequisite for a UW-Madison course, the student must work directly with the UW department offering the course to assess if it meets the requirement. If a Special student later becomes an undergraduate student at UW-Madison, the Special student coursework may then be applied toward the undergraduate degree. Please note that enrollment as a Special student does not in any way guarantee your admission as an undergraduate student. There is no university-wide policy on whether credits taken as a Special student will count toward a UW-Madison graduate degree. Some departments do not accept any credits, and others take only a limited number. You must check with the graduate coordinator of your desired program to discuss your request. If Special student credits are applied toward a UW-Madison graduate degree, you will be required to pay the difference between the cost of the Special student credits and graduate credits.